Divas, just wanted to alert you to a fun wine tasting event coming up this Wednesday night that I'll try to hit up! 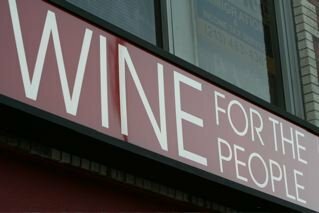 WTF LA (Wine Tasting For Los Angeles run by my BDFF Leah) will be hosting a wine tasting at City Sip on December 2nd from 7:30PM - 10:30PM. The cost for the tasting is $10, but then you get a $10 discount off any purchases of wine or gift baskets. For those of you who have never been, City Sip is one of my favorite wine bars, featuring a big selection of unique, family-owned wines. So you can get your tasting on AND purchase great holiday gifts at the same time! Who knew drinking wine could be so productive? Meatless Monday: Individual Plum Crumbles with Homemade Ezekiel Breadcrumbs! I just got back from Des Moines, Iowa last night, and boy did I have a great time (and several great meals). I'll be blogging all about it later this week, so stay tuned! And in more news, the Eat My Blog charity bake sale to benefit the Los Angeles Regional Food Bank is this Saturday, so I'll be making my Bacon Brownies with Bourbon Caramel Sauce this week! I can't wait to sample all the deliciousness for myself! In the meantime, I know the winter holidays are just around the corner, so I'll be bringing you a few recipes that are fabulous for entertaining, starting with this simple dessert. There's nothing I love more than a fresh fruit crumble, and for a fun twist, I baked these into individual ramekins. I used organic red plums, but any fresh fruit will do, from apples to berries. I also made homemade breadcrumbs using Ezekiel Bread, a sprouted whole grain bread, which gives this a healthier twist. These adorable desserts would be perfect to make for any holiday dinner parties you're throwing, and without all the guilt! They contain both fresh organic fruit and whole grain. Serve them straight up or with a low fat vanilla ice cream, or for you dairy-avoiders, Rice Dream. To make the Ezekial breadcrumbs, toast 2 slices of Ezekial bread. Place in a food processor and pulse until broken down into breadcrumbs. Toss the plums with the sugar and sprinkle with a pinch of salt. Spoon the fruit mixture into four individual ramekins and place a sliver of butter on top. Sprinkle the tops of each ramekin with the breadcrumbs, brown sugar and cinnamon, dividing evenly between them. Top with slivers of butter. Bake for about 30 minutes, or until the tops are golden and the fruit has started to bubble up. Remove from oven and allow to cool. Serve one per person, and top with low fat vanilla ice cream or Rice Dream. Enjoy! 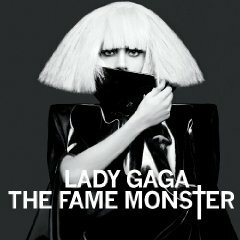 This new release from huge pop sensation Lady Gaga includes the monster single, Bad Romance, many remixes, and the fantastic new track, Speechless that's been on permanent rotation on my iPod. I can't get enough of her! Thanksgiving is almost upon us! 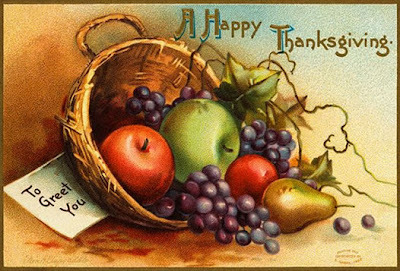 In light of that, I'm featuring a great article from The Minimialist - his 101 Quick Thanksgiving Recipes! Also, for you Angelenos, dineLA has announced their Winter Dates! So check out what caught my interest this week in my Tuesday Round-Up! 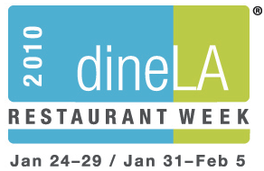 dineLA's Winter Dates Announced: Jan. 24 - Jan. 29 and Jan. 31 - Feb. 5! The Minimalist's 101 Quick Thanksgiving Recipes! The New York Times' Thanksgiving Page with Videos, How-To Guides and More! Conversation with Baker Jim Lahey of New York's Sullivan Street Bakery & His Recipe for No-Knead Bread! Meatless Monday: Holiday Pancakes with Cornmeal, Apples & Cinnamon! I know that all the food networks, magazines and blogs are spewing out hundreds of holiday recipes for you try this coming Thanksgiving, but I ask you one very important question! Is anyone concerned about what you're going to cook the morning AFTER Thanksgiving? Once all the hoopla has died down, and you've ingested more than enough turkey to last you two lifetimes, don't you want to wake up to one more delicious meal to be shared with family and friends? Not to mention the fact that many of us are hosting tons of visiting relatives and guests - it's practically like you're feeding an army! Don't wake up in a cold sweat, worried that all your food resources have abandoned you after the holiday! The Diva is here to help with another fabulous recipe! Now we all love pancakes and they're perfect for feeding a lot of guests, but who wants to make the same, old boring pancakes on a snazzy Holiday like Thanksgiving? So throw away your mix (you don't need it anyway), and try out this fabulous recipe I whipped up yesterday for breakfast! Not only is this recipe vegan (and I promise no one will be able to tell if you don't mention it), but I make it with a mixture of whole grain flour and cornmeal, which gives it a big boost of healthy grains and fiber, making these pancakes extra satisfying. The apples also provide a serving of fruit, and combined with the cinnamon, they imbue this recipe with the flavor of fall. I recommend topping these pancakes with good maple syrup and preserved or fresh fruit, or if you're feeling extra frisky, stewed apples! A neat trick used in this recipe is that instead of the customary buttermilk, apple cider vinegar adds that nice kick to the batter. I used a great organic apple cider vinegar, Johna's Organic Orchard, which I purchased at my local farmers market. It tasted delicious in this recipe! Also, starting with this recipe, I'm including nutrition information! Give me feedback and let me know if this feature is helpful to you! Place the diced apples in a bowl and microwave for 30 seconds to soften. Set them aside. In a large mixing bowl, combine the almond milk, the maple syrup and the apple cider vinegar and mix together. Set it aside. In another bowl, combine the cornmeal, flour, baking powder, baking soda, salt and cinnamon and mix together. Then, add the dry mixture to the wet mixture and stir together until there are no lumps. Be careful not to over beat! Add the apples to the mixture. Heat a frying pan or griddle to medium to medium-high heat. Coat the cooking surface with vegetable oil or spray (I prefer grapeseed oil). Pour a scoop of the mixture in the center onto the hot surface and cook until small bubbles appear in the top surface. Using a spatula, flip the pancake and cook for another minute. Remove to a plate. Repeat until all the batter is used. Serve immediately along with good maple syrup and preserved or fresh fruit. Enjoy! Not only do they produce great apples and other fruit, but they make the best organic apple cider and organic apple cider vinegar! They can be found at the Hollywood Farmers Market on Sunday. Simple Suppers: New Zealand Trout with Cilantro-Lime Vinaigrette! As we're coming up on crunch time for our Thanksgiving binges (I'll be in the great city of Des Moines this year! ), I thought I'd share a quick, light, tempting little dish that I threw together for dinner the other week! It's New Zealand Trout with Cilantro-Lime Vinaigrette! I simply broiled the fish and then threw all the vinaigrette ingredients into my mini-prep food processor, and dinner was done in under thirty minutes. I served my fish over quinoa, and a nutty, protein-packed whole grain that cooks up in fifteen minutes flat. I loved the vinaigrette so much, that I was eating it on my breakfast burritos for days afterward! Note: if you don't have access to NZ Trout, Arctic Char or Salmon would both work beautifully with this recipe. Meanwhile, rub the fish with 1 tbsp of the olive oil and sprinkle with salt and pepper. Quickly broil the fish until cooked to preference (I like salmon and this type of trout slightly medium rare) and then remove from oven and allow to rest for 5 minutes. To make the vinaigrette, using a blender or mini-food processor, blend together the remaining olive oil, lime juice, cilantro, pepper, shallot and garlic. Season to taste with salt and pepper. To plate, place a piece of fish on a plate and top with the vinaigrette. Enjoy! 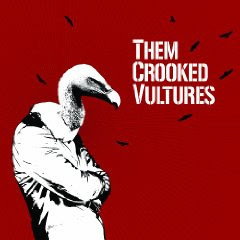 Them Crooked Vultures, a/k/a DAVE GROHL (Foo Fighters, Nirvana), JOSHUA HOMME (Queens of the Stone Age) and JOHN PAUL JONES (Led Zeppelin), is the new supergroup! They played a surprise show at the Roxy on Monday and a show at the Wiltern last night, to which the A-Girl offered me a ticket, but alas I'd already committed to hosting my book club and made an ungodly amount of turkey meatloaf. 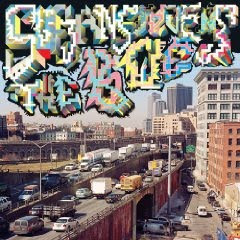 But here's their brand-new, just released debut album! So check it out - I know I just ordered mine! 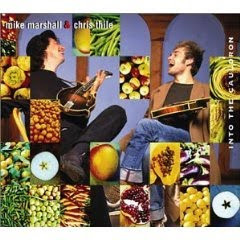 CLICK HERE TO LISTEN CHECK OUT THE ALBUM! Wine of the Week: Quilceda Creek 2006 Columbia Valley Red Wine! This week, I'm bringing you a very special Cabernet Sauvignon producer that I want you all to know about: Quilceda Creek! I must confess that we don't drink that much Cabernet Sauvignon these days. It's not that I don't love it, but the price point over the last several years has climbed higher and higher, meanwhile the local producers in our neck of the woods (Central Coast California) have begun turning out such a fabulous array of Pinot Noir and Rhone-style Syrah and Syrah blends that we've naturally moved in that direction. However, the West Coast cabernet we do drink doesn't typically come from Napa, but rather from Andrew Will (surely more on this winery down the road) and Quilceda Creek in Washington. Dedicated to the production of the best Washington Cabernet Sauvignon, the winery was founded in 1979 and has produced a string of such fantastic wines, that Robert Parker has called this the state's premier cabernet producer. Quilceda Creek's 2005 Cabernet Sauvignon was rated the coveted perfect score of 100 points by Robert Parker (and luckily we have some in our cellar)! Today, I'm writing about a bottle we drank last week of the Quilceda Creek 2006 Columbia Valley Red Wine, their lesser priced proprietary blend. It's made up of 77% Cabernet Sauvignon, 10% Cabernet Franc, 10% Merlot, and the balance Petit Verdot and Malbec. What an interesting combination of grapes! We opted to decant the wine, and good choice since it took a good hour to open up, but once it did, we LOVED it! The wine was medium bodied, with intense fruit, but also enough structure to balance it, and lots of the strong earthy flavors I love in my wines. Parker scored this wine 92 points. The Quilceda Creek 2006 Red Wine Columbia Valley is a blend of declassified lots which reflect the richness and complexity of the vintage. This is one of our favorite Red Wine offerings to date. This medium bodied wine displays black cherry fruit, cedar, spice, vanilla and minerals. Approachable now, this blend will be best enjoyed over the next 15 years. While their top wines have higher price points, this proprietary blend was only around $37 on release, a great deal as Robert Parker points out. Unfortunately, they're sold out of everything actually! As with many of the wines I write about, the best thing to do is get on their mailing list so you can have access to their limited supply of wines upon release at these fabulous prices. I did find some bottles for sale from wine retailers, but at considerably higher prices. Flickinger Wines has 17 bottles available for $65/bottle. Last night, I had the privilege of attending the Pacific Pinot Noir tasting at Lou last night! Wow, was it incredible, both the food and the wine. I'll be sharing my thoughts and pictures with you later this week. Tonight, I'm hosting my book club and in honor of Thanksgiving, I'll be making Ina Garten's recipe for Turkey Meatloaf - it's one of my favorite of her recipes out of the original Barefoot Contessa cookbook, a must own if you ask me (CLICK HERE). 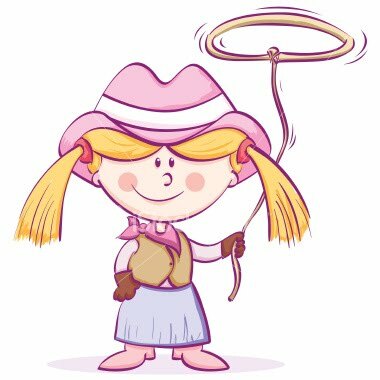 So today, I'm starting a new series called Tuesday Round-Up! Each week, I always stumble upon tons of great recipes, health news, restaurant deals and food articles, but I'm always running out of time to post on them all. It just dawned on me that I should post them all in a "Round-Up" where you can choose which articles interest you and click on the links. Time crunch problem solved! Here's what got my attention this week, everything from an award-winning apple pie recipe, to an article on walnut oil salad dressing posted by the lovely Molly at Organic Spark, to sobering news about hunger in the U.S., to an incredible event going on at Sona which I'm sure to attend! Sona Celebrates 7th Anniversary with a 7 Course Tasting Menu for $77 of their best dishes from over the years! Barbara Treves Wins 1st Ever Good Food Pie Contest - Click Here for Her Award-Winning Recipe! Great Walnut Oil Salad Dressing Recipe from Organic Spark! La Brea Bakery Nominated For Luxist Award! Hunger in U.S. at 14 Year High! Vitamin D Shows Health Benefits in Study! Pan-Roasted Halibut in Dashi Broth with Bok Choy and Baby Shitake Mushrooms! I love to cook fish of all kinds, and I'm always looking for a fresh way to prepare it at home! So for this recipe, I was inspired by Japanese cuisine and the halibut and baby shitake mushrooms I procured at the Hollywood Farmers Market. I know the concept of making dashi broth may sound intimidating, but I promise you that it's actually really simple and works well with all seafood dishes! It's also the perfect way to prepare fish for the fall. The broth just warms you up from the inside out. The other components of this dish were all prepared simply - I blanched the bok choy and sauteed the mushrooms - each preparation only take a few minutes. When it finally came time to sit down with Kuzak in my "bistro" and eat, we both loved this comforting dish. It was refreshing, thanks to the ginger, and hearty at the same time, with both sweet and savory flavors, and even had some earthy umami flavor thanks to the wonderful baby mushrooms. I loved sipping the dashi broth from a spoon after I'd finished the fish, slurping it down to the last drop. It was the perfect way to end a great meal! To make the dashi broth, add the stock, tamari, ginger, mirin, miso and sugar to a pan and bring to a boil. Simmer the stock for 20 minutes and season to taste with salt & pepper. Keep warm. To make the mushrooms, heat the olive oil in a saute pan over medium heat. Add the mushrooms and gently cook for a few minutes until tender. Season to taste with salt and pepper. To cook the fish, season both sides of the fillets with salt and pepper. Then, heat the grapeseed oil in a saute pan over medium high heat. Add the fish, cooking for a few minutes on each side, until golden brown and cooked through. To plate, place the bok choy in the bottom of a wide-bottomed bowl. Place a piece of fish on the bok choy and top with the mushrooms. Ladle the broth over the fish, drizzle with the sesame oil and top with some fresh cracked pepper. Local Amberjack with Pea Tendrils & Roasted Butternut Squash Mash! Divas, hope you're all feeling fabulous today! This morning, I'm bringing you a recipe for a great dinner I made on Monday night. The inspiration were ingredients I bought at the Farmers Market on Sunday, including a lovely fillet of local amberjack, a few big handfuls of organic pea tendrils, a rare and delicate ingredient, and the butternut squash that's so plentiful right now. Because my ingredients were so fresh, I handled them minimally, wanting to make a clean-tasting, flavorful dinner. I simply broiled the yellowtail and finished it with a little lemon juice, sauteed the pea tendrils with garlic, and roasted and mashed the butternut squash. Wow, it was so delicious, it had Kuzak all but licking his plate, wishing there was more butternut squash mash! The pea tendrils also tasted tender and sweet, with a hint of the peas they produce, and the amberjack pulled the whole dish together with its bright, clean flavor and texture! While I'm writing up the entire dish I prepared with all the components, the Roasted Butternut Squash Mash is a versatile dish that could be prepared to go with almost any type of fish or meat. It's a fantastic holiday side dish, or puree it with a garlic clove and some vegetable stock for a tremendous soup! Note: If you can't find fresh amberjack, almost any fish would work, including halibut, salmon or red snapper! Also, spinach would be a delicious substitution for the often elusive pea tendrils. To roast the butternut squash, rub the inside with the cardamom, thyme, chili flakes, olive oil and sprinkle with salt and pepper. Place the squash face down in an oven proof dish and poke holes in the tops. Fill the pan with 1/2 inch of water. Place in the oven and roast for 50 minutes, or until the squash is tender. Once it's cooked, remove from the squash from the oven and allow to cool. Then, scoop out the flesh into a bowl, add the butter and mash it with a fork. Season with salt and pepper to taste. Meanwhile, rub the fillets with 1 tbsp of the olive oil and sprinkle both sides with salt and pepper. Then either broil or grill the fish until just barely cooked through (about 5 minutes depending on thickness). Remove from oven, sprinkle with the lemon juice and allow to rest for a few minutes. Finally, make the pea tendrils, heat a pan over medium high heat. Add the remaining 2 tbsp of olive oil and allow to warm. Then, add the garlic and saute for 1 minute. Add the pea tendrils and cook, stirring occasionally, until wilted (only a few minutes). Remove from heat and season to taste with salt and pepper. To plate, place a good heaping of the butternut squash mash on a plate and top with the pea tendrils. Place a piece of fish on top and enjoy! Wine of the Week: Anthill Farms 2007 Comptche Ridge Pinot Noir! Divas, I have another very special treat for you today! This installment of Wine of the Week is brought to you by a guest blogger who is very near and dear to my heart! It's Kuzak, my wine-loving, legal eagle boyfriend! You see, the truth of the matter is that he's the real wine expert in the Domestic Divas household, and I'm simply riding his coattails. Not only did he commission the building of our wine cellar, but he diligently combs through tracking boards and other resources, all in the name of finding great wine! He has impeccable taste when it comes to all things, but in particular, fermented grape juice! So without further ado, here's his article on one of his favorite California producers! One of my favorite measures of a good wine is the speed at which it gets drunk. People tend to take more frequent sips of something they enjoy. Without noticing, we sipped this particular bottle dry. The wine could definitely be called somewhat "easy to drink." While "easy-to-drinkedness" is not always a flattering quality in wine (Welch's grape juice is easy to drink), in my experience it serves young northern California pinot noirs, which are often angular or overly acidic, quite well. The fresh, ocean-blown textures and flavors in this wine were tremendous. No cloying acidity and no noticeable alcohol (which was low, in the 13% range to begin with). It had an excellent mouth-feel and was a good example of the smooth, cool climate Northern California pinot style that I prefer. The wine kept improving the longer it was open and exposed to air, and was its best when we finished it (less than two hours in). These 2007 Anthill Farms pinots are some of the most consistently good California pinots I know of, particularly in the price range. The only place I know to get it is shipped directly from the winery via their website. I recommend you try a bottle, particularly the Comptche, Demuth or Abbey Harris offerings. Score? 970/1000. Anthill Farms is a small independent winery founded in 2004 by three partners in Northern California who, at the time of its founding, had relatively little wine making experience. Their wines quickly became a hit and were soon championed by California pinot lovers in the know. Obtaining the better bottlings from Anthill has become increasingly more difficult over the last two years, with allocations to mailing list members and availability shrinking. While there is some variance between the quality of the offerings from the different vineyards (Demuth, Comptche and Abbey Harris are all great), the sub-$40-ish prices are impossible to beat for the consistent quality. 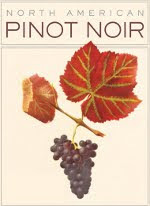 For the quality, these pinot noirs are reasonably priced, with many costing under $40/bottle! The best way to get deals is to sign up for their mailing list, as Kuzak mentions, and order directly from them upon the release. CLICK HERE TO VISIT THEIR WEBSITE AND SIGN UP FOR THEIR WAITING LIST! Bacon + Chocolate + Charity = Irresistible Taste Explosion with no Guilt! So mark your calendars! The event will take place on Saturday, December 5th from 10 AM to 4 PM at Zeke’s Smokehouse in West Hollywood (7100 Santa Monica Boulevard), who has generously offered to host the event on their outdoor patio. The event will feature over 600 different baked goods, and all proceeds will be donated to the Los Angeles Regional Food Bank! Special thanks to Cathy Danh, the author of Gastronomy Blog, for organizing this event! 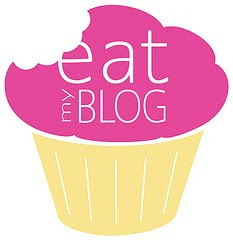 CLICK HERE TO READ THE GREAT LA TIMES ARTICLE ABOUT EAT MY BLOG! LOS ANGELES (November 4, 2009) - Angelenos with a penchant for gourmet sweets are invited to attend the first ever Eat My Blog bake sale on Saturday, December 5th. From 10 a.m. to 4 p.m., Zeke’s Smokehouse in West Hollywood (7100 Santa Monica Boulevard) will generously host this event on their outdoor patio where Eat My Blog will feature over 600 baked goods including classic whoopie pies, pumpkin swirl brownies, handmade macarons, and black sesame cupcakes with matcha frosting. In addition, The Coffee Bean & Tea Leaf® will be featuring a wide selection of pastries and fresh brewed coffee to help wash down all of those scrumptious sweet treats! All proceeds from this tasty event will be donated to the Los Angeles Regional Foodbank and help raise a greater awareness for those looking to give back to the Los Angeles community. “It’s a way to connect with our readers in an intimate and real way,” said Diana Hossfeld, author of Diana Takes a Bite and a member of the Eat My Blog organizing committee. “It’s Tastespotting come to life – for a cause that is near and dear to our hearts. This Is Where I'll Be Tonight! Great FREE Event at the Santa Monica Public Library! I wanted to let all you divas know about a FREE event at the Santa Monica Public Library tonight on Farmers Markets! This talk promises to concern issues about which I'm passionate, and is being hosted by Even Kleiman from KCRW's Good Food and the fantastic Chef Ben Ford is a panelist! I'll be checking out the event with two of my BDFF's! So if you're in the neighborhood and have the time, check it out! How can you say no to FREE? The Nose to Tail movement is the latest in sustainability, flavor, and community. Join us to discuss how Farmers Market farmers, customers, and chefs are working together to revitalize traditional farming and cooking practices by growing, and eating, everything on the farm. Panelists: Greg Nauta from Rocky Canyon Farms, Phil McGrath from McGrath Family Farm, chef Ben Ford from Ford’s Filling Station, and moderator Evan Kleiman from KCRW’s Good Food. 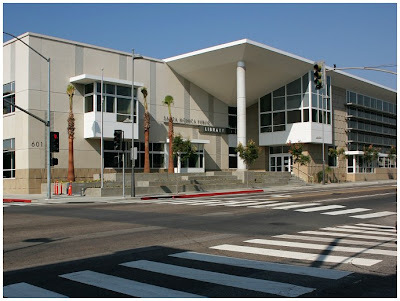 Click here to visit the Santa Monica Public Library's Website! We've all read a lot of lists I'm sure, but this new one intrigued me! It offers one restaurant owner's perspective on the nuances of perfect service. I know that we've all experienced both good and bad service at a restaurant, but have we ever really thought about what the entails, aside from those with experience working in the service industry? Give it a read and let me know what you think! CLICK HERE FOR 100 THINGS RESTAURANT SERVERS SHOULD NEVER DO! Meatless Monday: Black Bean, Brown Rice & Organic Vegetable Hash! Happy Monday, and with an extra hour of sleep, everyone should be starting their week a little more well-rested than normal! Unless you're Kuzak who's in trial, and well, then all bets are off, or The Adorable Monster, who sleeps away most of the day anyway, so you're always well-rested. Here's another Meatless Monday's recipe for your cooking pleasure! This is a dish I whip up all the time, using a variety of organic vegetables I pick up at the Farmers Market. I'll write up the combination of vegetables I used in this recipe, but feel free to get creative and use your own mixture. I cook them down in my favorite cast iron skillet and then add in black beans and rice, which gives the dish a whole grain component, fiber and a complete protein! This is a one pot, one-stop shopping kind of meal! A neat trick? This is a fabulous way to make use of leftover rice! I usually make rice for another meal, for example to go with a fish entree, and then use the leftover to make a hash the next day. Also, try topping this hash off with an organic poached egg for breakfast - it's heavenly! In a cast iron or other heavy-bottomed pan, add the olive oil and heat over medium heat. Next, add the onion and saute until beginning to caremalize, about 5-7 minutes. Add the garlic and saute for one more minute. Then, add the eggplant, the peppers and the squash, and saute until cooked. Once the vegetables are cooked, add the rice and beans and stir into the vegetables. Cook over medium heat, stirring occasionally, for about 5 more minutes. Squeeze with the lime juice, season to taste with salt and pepper, and sprinkle with chopped parsley. Enjoy! 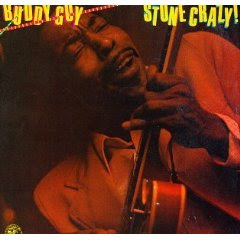 This weekend, I went on a Buddy Guy rampage, and this is one of my favorite live recordings from this Chicago blues legend!